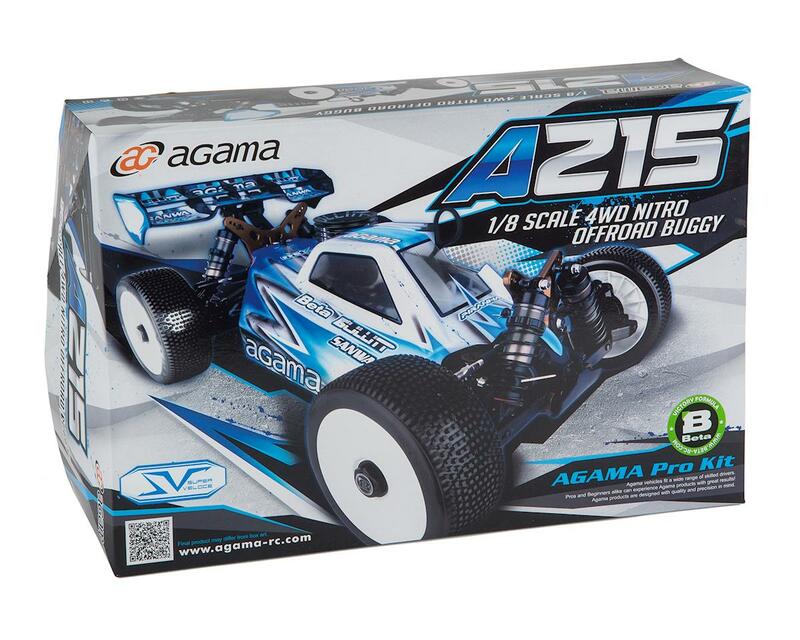 This is the Agama A215 SV 1/8 Scale 4WD Off-Road Nitro Buggy Kit. 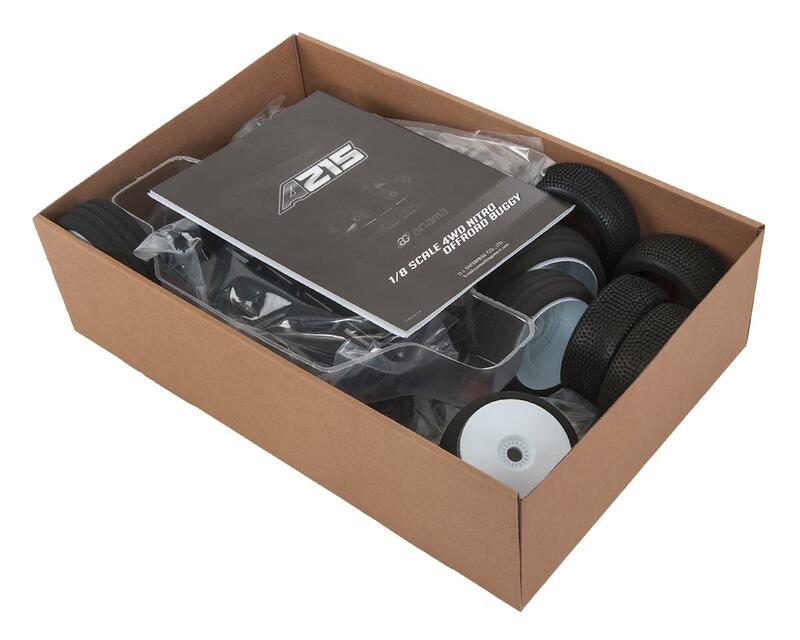 The A215 SV takes all the great attributes of the A215 platform, and builds upon them to bring a new level of performance with C-Hub design front steering geometry to make the car even easier to drive whilst providing more steering lock. The SV also incorporates new weight distribution, suspension geometry and steering amongst many other features all painstakingly refined throughout the course of the development period - the A215 SV is the ultimate version of the 215 platform. Updated Hinge Pin Braces: These hinge pin braces utilize a square insert design increasing the range of geometry changes that can be made to the vehicle, further increasing the performance. CNC Aluminum 16° Caster Blocks: Aluminum 16 degree caster block, now in the C-Hub style and included in the box, using a solid pin mount with two grub screws offering a solid and reliable attachment to the vehicle. This caster block will also be offered in a 13° (AGM39713) and 19° (AGM39719) option part. 4mm Aluminum Ackerman Plate: A 4mm Aluminum ackerman plate has been introduced to remove any flex in the steering system and an updated profile has been used to allow full clearance of the steering links. Steering Bushing: Used with the updated caster block and steering hub for a cleaner and more reliable operation. Short Steering Turnbuckle: With the extended steering hub arm, a shorter turnbuckle has been used to allow for full toe adjustments to be made. Drive Cups: The lightened drive cups have now been introduced as standard running gear. SV Shock Towers: Updated shock towers are used with updated geometry to match the steering system and front arms whilst maintaining a perfect front to rear balance of the vehicle. Front Arm Outer Hinge Pin: This updated captured pin is used with the aluminum caster blocks to secure them to the suspension arm. Front Steering Hub: The updated steering hub has been made with a removable steering plate allowing for further adjustments to be made to the steering system as well as a secure and reliable design. Universal Joint Set: A UJ driveshaft is used on the front of the buggy to offer a free transmission at full lock. Front Camber Turnbuckles: These turnbuckles have been lengthened to allow for the short and long link setting to be used on the same turnbuckle. SV Front Roll Bar: The sway bar has been reshaped to allow for proper operation and clearance from the driveshafts and drive cups. Steering Pivot Ball: An updated pivot ball has been made using a one piece threaded design, to make for the most secure link mount. Good quality, but for me is not a best car than the A215. The old version is easier to drive and tune. After months of test, I decided change the new shock towers (lower and different geometry), put the old ones on the SV. Much better for sure. Other drivers directly buy an A215, and mount the new black suspension holder plates, with the new suspension bushing orange/yellow/black . 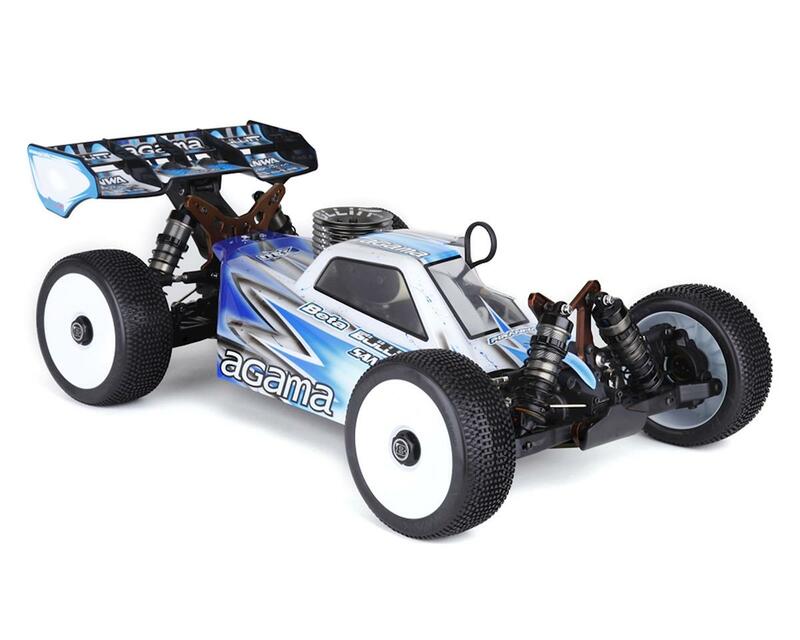 That is, the old A215 with new convergence and antisquat system, with the losi-style steering system.